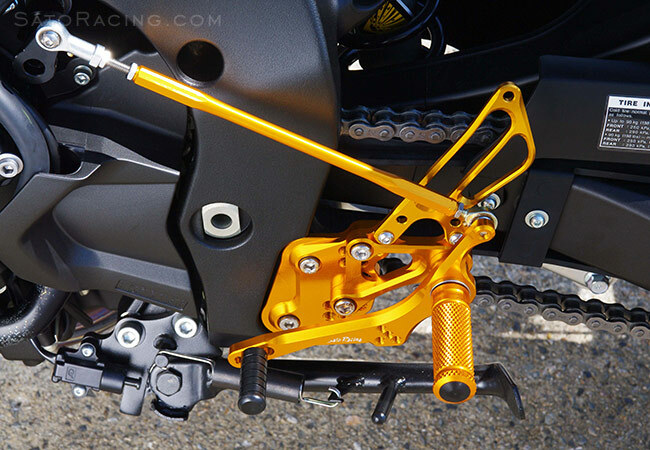 SATO RACING Rear Sets for 2006 and later Yamaha FZ1 and FZ8 are track engineered and CNC-machined out of high strength billet aluminum with your choice of Black, Silver or Gold anodized finish. 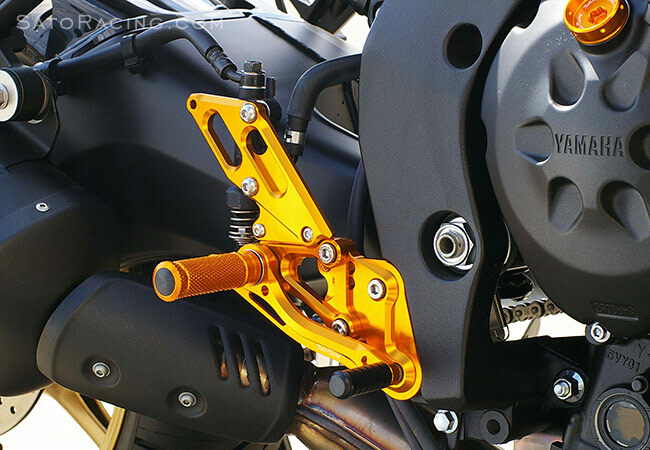 Modular step plate design lets you select from 7 adjustable positions in a range that puts your feet progressively higher and further back compared to the stock foot pegs, for a sportier, less upright riding position well-suited for spirited riding. 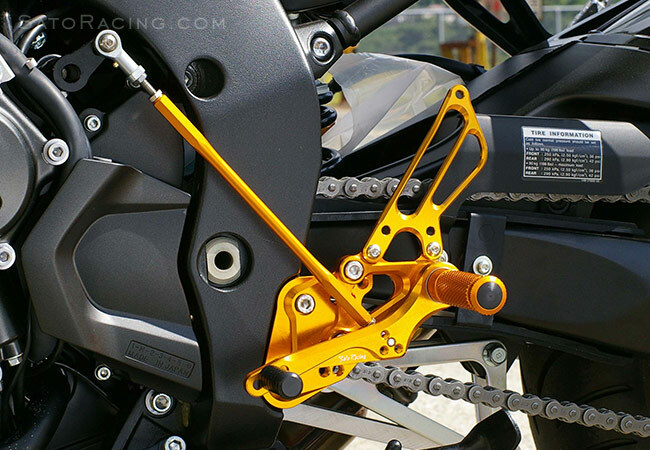 2 versions of these Rear Sets are available: The Standard version Rear Sets provide a stock shifting pattern, while the Reverse Shift Rear Sets has a different shift pedal linkage setup designed for reverse shift pattern. 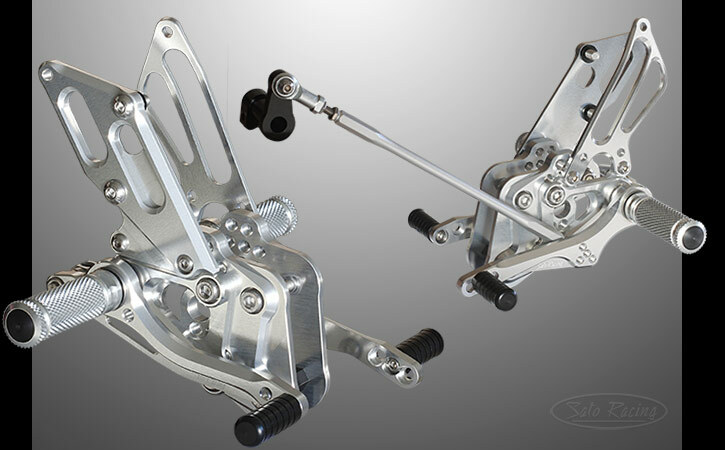 brake pedals utilize double stainless bearings for smooth, precise pedal movement with a solid feel. 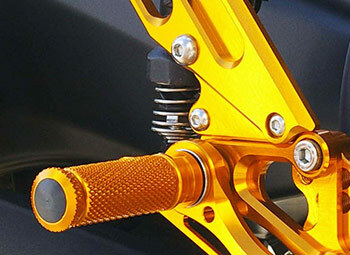 Deeply knurled footpegs provide excellent grip even in wet conditions. Although not shown above, a brake light switch is also included in the Rear Sets kit. Rear Sets shown with the brake light switch installed. 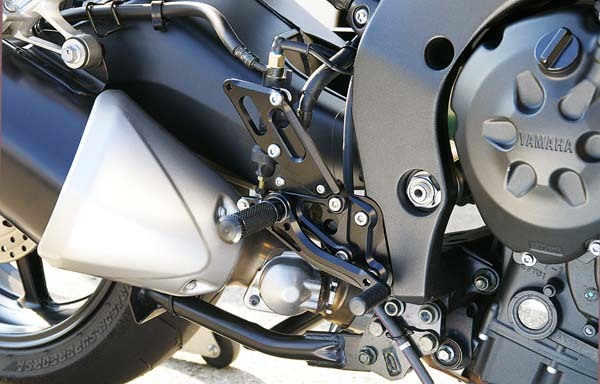 The standard FZ1/ FZ8 Rear Sets ( part# Y-FZ106RS2 ) provide a dedicated stock shift pattern. 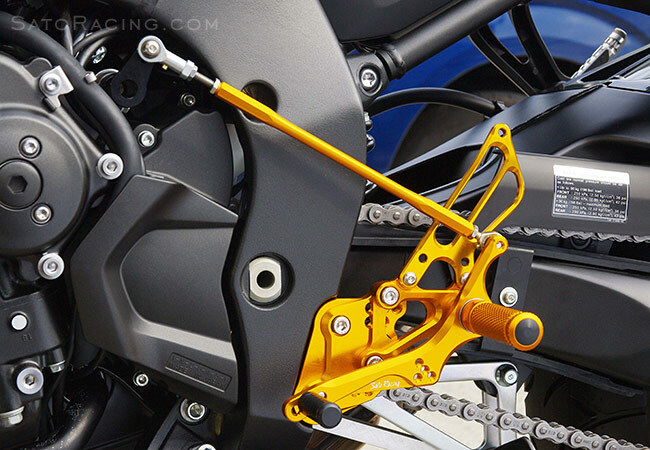 shift pedal linkage design which provides a GP-style reverse shifting pattern. 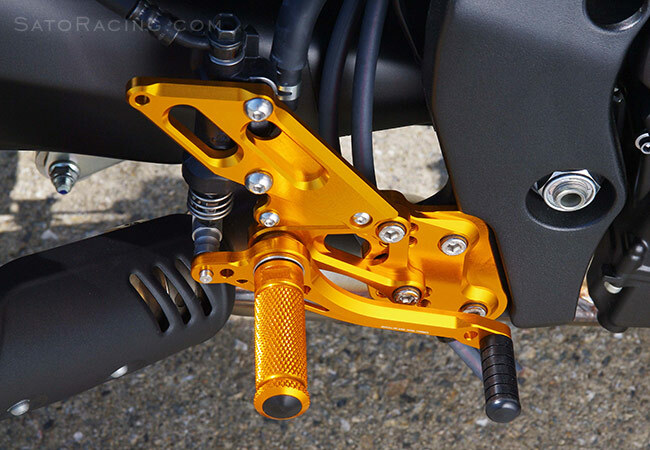 with some minor hardware changes you could modify it for stock shift pattern if you needed to. SATO RACING Brake Return Spring quickens the pedal return and may make the pedal feel more responsive compared to no spring. (For use with specified SATO RACING Rear Sets). 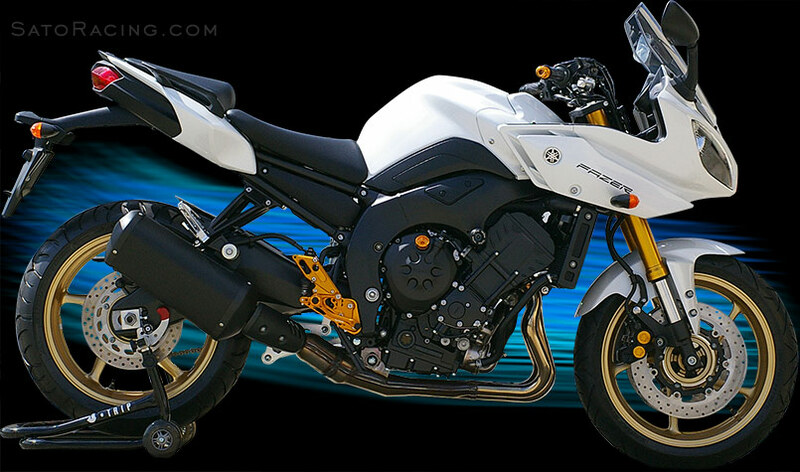 (NOTE: This is the parts list for the ver.2 redesign of our FZ1/FZ8 Rear Sets.